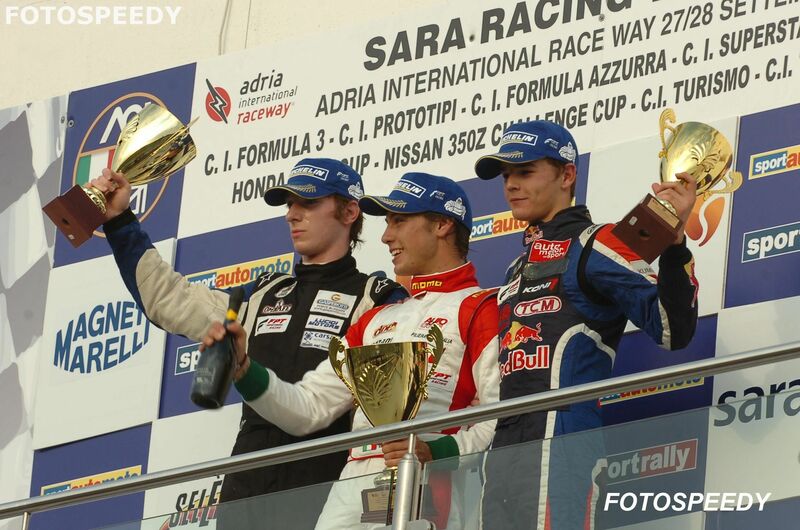 28/09/2008 - The second to last round of the Italian Formula 3 championship held today on the Adria International Raceway, launches Mirko Bortolotti to the final round of Vallelunga (scheduled for the 19th of October) 8 points clear of his most direct title opponent Edoardo Piscopo (Team Ghinzani). The driver from Trento obtained two second places and 16 points, strategically very important for the championship. Six points have been harvested by Francesco Castellacci, sixth in both races, who is now in the middle of the fight for the third final place with five points to recover on Salvatore Cicatelli (BVM-Target). Unlucky weekend for Giovanni Nava instead, who did not manage to obtain any points on the Venetian track. "We expected some difficulties on this track. In the tests of Adria temperatures have always been higher than those of this weekend but some electrical problems in free practice did not allow us to do all the setup work that we scheduled. With two second places Bortolotti still kept the leadership and we are going to defend the classification advantage in the final stage at Vallelunga. Castellacci got closer to the third place thanks to the six points scored, while Nava lived an unfortunate weekend."